Researchers are developing synthetic versions of shark skin to be used in hospitals and reduce bacterial infections, one of the biggest threats to global health. They are one of the great threats to our health, but scientists prepare a response, inspired by nature, that can combat them. Researchers are developing synthetic versions of shark skin to be used in hospitals. The objective? Reduce bacterial infections . The shark’s skin is made up of millions of small v-shaped scales, called dermal denticles. The scientists reproduced the texture of these denticles to produce surfaces resistant to bacteria. Initially, the material was designed to reduce the accumulation of marine microorganisms in the hulls of vessels. But now scientists are studying how this technology – called ” sharklet ” – can be used in hospitals, where maintaining surfaces free of bacteria is a vital issue. This accumulation of algae was generally fought with toxic antifouling paints, whose application on ships cost the Navy a lot of money and effort. When observing the skin of the sharks, Brennan noticed a “structure similar to that of a diamond with small ribs”. That structure requires more energy from the bacteria so they can hold on to the surface, so they are more likely to colonize other places or die. Currently, copper alloys are used for this purpose in some hospital environments. Copper interferes in the cellular processes of a variety of microbes becoming toxic to some bacteria. But the material inspired by shark skin works differently, preventing bacteria from sticking . Surfaces that are very groped – like handles and light switches – could then be covered with this material. The expectation is that the measure will help reduce the rate of infection by contagious diseases , such as that caused by the methicillin- resistant Staphylococcus aureus bacteria , known by the acronym MRSA. This type of technology, inspired by nature and the animal kingdom, is known as biomimicry , a term popularized by the American writer Janine Benyus. Benyus published in 1997 a book that marked the beginning of a new era in design: “Biomimicry: innovation inspired by nature”. Biomimicry proposes to learn from the forms of nature, its processes and its ecosystems. “Generally, those who design everything around us never went to a biology class and therefore are really new to the way nature works,” said Benyus on the site of the center he founded, the Biomimicry Institute, with headquarters in Montana, United States. Other examples of biomimicry include the design of a painless surgical needle inspired by the jaws of mosquitoes and a type of flea that can be the key to improving the transport of organs for transplants – and store ice cream. One of the best known cases is the kingfisher bird and the bullet train from Japan, which when it reached speeds close to 270 km per hour caused a big problem. Each time the train left a tunnel it produced a noise so loud that it could be heard 400 meters away. The train compressed the air in the tunnel in such a way that when it came out it produced a great explosion of sound or sonic boom. The noise disturbed the wildlife, annoyed the passengers and annoyed the neighbors. But, thanks to the hobby of engineer Eiji Nakatsu , an avid bird watcher, the problem was solved. 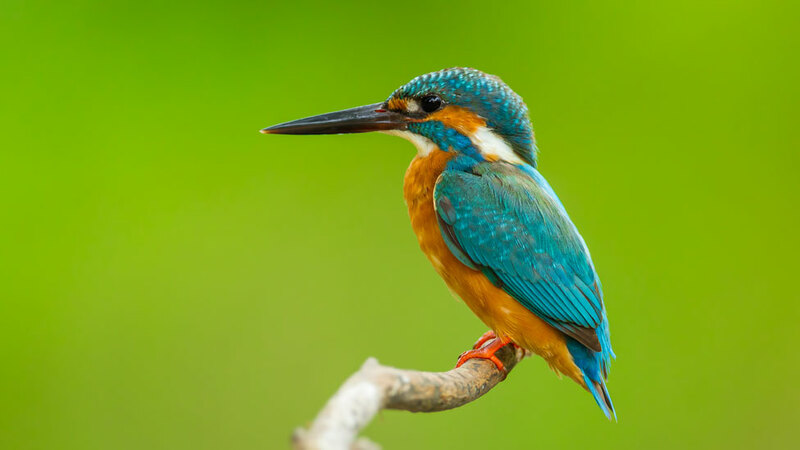 Nakatsu was inspired by the kingfisher, which manages to submerge at high speed in the water without splashing liquid. The secret is in the aerodynamic shape of its beak. The front part of the bullet train was inspired by the bird’s beak, thus helping to reduce the air resistance and allowing it to travel more quietly and efficiently through the tunnels.